Microsoft has won another victory in a continuing and complex patent dispute with Google. The latest spat hinges on whether technologies used in the Xbox console and Windows software were licensed on fair terms by Google-owned Motorola. A US judge upheld Microsoft's claims that Motorola had breached agreements to license its patent products at a reasonable rate. Microsoft has been awarded around $15m (£9.6m) in damages. Microsoft had asked for roughly double the damages it was awarded - including $11m (£7m) for the costs of relocating a warehouse in Germany due to an injunction brought by Motorola on selling certain products in that country. The software distribution centre was relocated to the Netherlands to minimise potential disruption if Motorola had won the right to ban the sale of the Xbox in Germany. Motorola indicated that it would appeal. "We're disappointed in this outcome, but look forward to an appeal of the new legal issues raised in the case," said William Moss at Motorola. Microsoft argued that the patents had been registered as "standard essential patents" - inventions seen as critical to the development of an industry standard. The disputed patents covered Motorola technology that contributed to the H.264 video compression standard and the 802.11 wireless standard. By creating such patents, the owner agrees to make them available to others on fair, reasonable and non-discriminating (Frand) terms. In a previous trial, settled earlier this year, Google's claim that Microsoft owed it billions in patent payments was thrown out by a US judge. 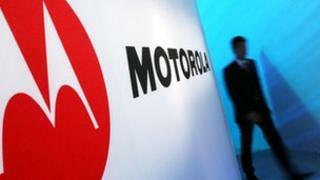 US District Judge James Robart said the appropriate rate was about $1.8m, slightly above Microsoft's estimate but well below Motorola's demand for as much as $4bn a year. The dispute between the two forms part of a larger battle in which Microsoft is asking for licence fees from all handset makers that use Google's free Android operating system. And that in turn is part of a global patent war, pulling in players such as Apple, Samsung and Nokia. Companies are arguing over who owns the technology and design features that power smartphones.